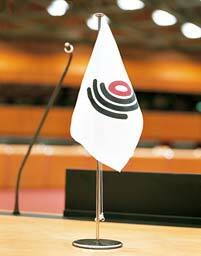 According to an update of 29 September 2010 on the EPO website, the Committee on Patent Law, a sub-committee of the Administrative Council of the EPO, gave a favourable opinion on proposals for changes to the EPC Implementing Regulations, that will be presented to the Administrative Council for decision at its meeting on 26. to 28. October 2010 in The Hague. I think it's save to assume that the proposals will be accepted by the Administrative Council and then quickly enter into force. amendment of Rule 71 EPC and addition of new Rule 71a EPC improving the last phase of the grant proceedings by introducing a second step for cases where the applicant requests amendments or corrections in response to the examining division's communication informing of its intention to grant the patent under Rule 71(3) EPC. The current streamlined procedure will be maintained for all other cases. Especially the proposed amendments to Rules 36 and 161 EPC appear to be clear consessions to professionals and applicants in reaction to their harsh critisism expressed against the amendments of the Implementing Regulations that entered into force as recent as 1 April 2010 (see Decision CA/D 3/09 of the Administrative Council of 25 March 2009 and OJ 2009, 533 as well as my related postings here, here, and here). While the strict regime of Rule 36 EPC to only allow divisional applications within a 24-months time window is not (yet) deregulated by the proposal, the far too short one-month time limits pursuant Rule 161 EPC will be prolonged to comfortalbe six months. According to present Rule 161 EPC, applicants have to reply to the objections raised in a Written Opinion of the ISA or the IPRP issued by the EPO in Euro-PCT applications within one-month after a communication of the EPO, whereas otherwise the application is deemed to be withdrawn. This time limit has been considered far too short to thoroughly discuss the matter with an, e.g. oversees, applicant and preparing and filing a well-founded reply. First, such an information is given for the first time. It is an apparent attempt of the EPO under its new president Benoît Batistelli to make the legislative process more transparent and give the public at large the possibility to comment on pending legislative initiatives. Second, the proposals show a reaction of the EPO to the manifold criticism voiced against details of the previous amendments which were part of the “raising the bar initiative” of the EPO.